Just as there are times in our life when we need re-balancing, so do our horses. Each horse is an individual. The experiences, internal and external, that each horse has is unique. After an injury, separation from a companion, changes within the herd dynamic, a new home/owner, grieving a birth or death, trauma or shock, recovering from illness, re-current disease, or an imbalanced temperament, all these things and more can have a significant affect on your horse’s wellbeing. The vibrational healing properties of the Australian Bush Flower Essences (designed and researched by Naturopath Ian White) can greatly assist your horse’s health and their speed of recovery and emotional adjustment. 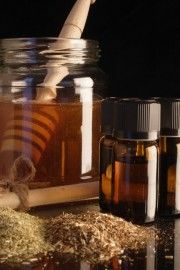 The essences can be highly beneficial in times of emotional uncertainty or where there is an underlying or ongoing temperament imbalance. They can also be used for the ups and downs of everyday life, or for soothing and settling horses in competition. Equinimity offers a range of individually blended essences to support your horse through times of transition or in the integrating of present and past experiences, traumas and events. Helping your horse to align and to experience peace and contentment is a wonderful gift to share.